Many thousands of companies and home PC users are at risk today as a new variant of the Rinbot worm spreads across the web. The worm exploits a vulnerability in Symantec 's antivirus software, meaning anyone who uses those programs are at risk. Reports already suggest that media conglomerate CNN Time Warner has been hit by the spreading virus. 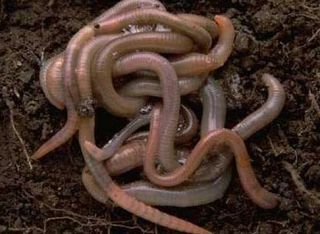 The worm spreads via email and through networks by using default passwords to find weak spots in people's computers. Once infection of a computer has been achieved, the worm launches denial of service attacks and propagates by attaching itself to all outgoing email messages. Users of Symantecs antivirus programs are advised to immediately update to the latest version in order to reinforce protection in the affected area of software. The company itself admits the problem, but states that its Norton range of security programs are secure and unaffected. Graham Cluley, at internet security company Sophos , said, "Traditionally hackers always went after Microsoft's anti-virus programs. But now they're targeting other programs such as Symantec's. "Without you knowing it, hackers will use your computer for a variety of purposes like sending out spam, or distributing denial of service attacks, or even blackmailing other websites."